Stock Low : 1,420 items left. 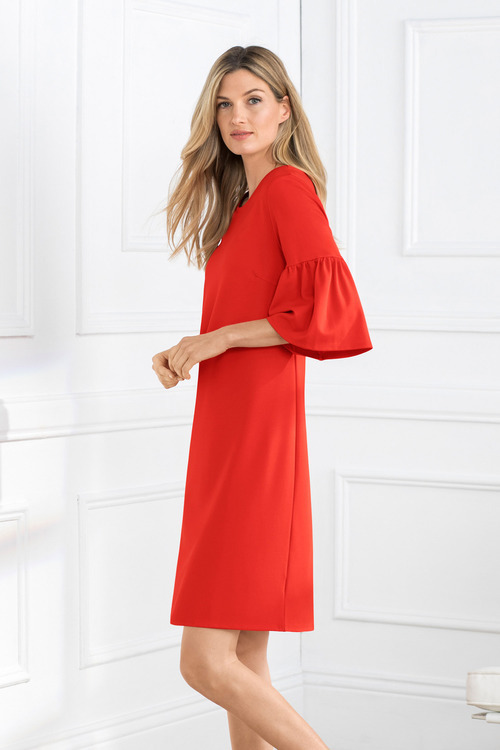 Designed in a timeless silhouette with on-trend statement sleeves and three stellar colours, the Grace Hill Ruffle Sleeve Dress is the perfect way to make your wardrobe feel fresh again. It's crafted from a blend of quality fibres that ensure this dress is durable, comfy and has the right amount of stretch to ensure ease of movement without sacrificing shape. Great for both work and play, this dress looks great with anything from strappy block heels to sneakers and a cross-body bag.